Insurance brokers and agents can help a business owner sort through the array of health insurance plans available to find one that fits the needs and budget of a company. While some people research their options on their own, many others find the process daunting and can benefit from some professional assistance. Deciding who will help you choose an insurance plan is an important first step. Here’s a rundown of points to consider before hiring an insurance professional, including the differences between brokers and agents. Choose a health insurance broker with a good reputation in the industry, so ask for referrals from companies similar to yours in size and scope. Check references, as well as licenses and registrations. You can check a life insurance broker or agent’s disciplinary record by calling your state insurance commissioner’s consumer hotline. Ask if they’ve ever been sued by a client. While there is no central clearinghouse for this kind of information, you can take the extra step of doing a web search on their names to see if anything turns up. Services vary from one commercial insurance broker to another, there’s no standard level, type or number to look for. Make sure you’ll get the kind of support your company may need, such as nontraditional work hours or different language on service help lines. Learn whether he o she is knowledgeable about the type of products you need. Ask for examples of those that he or she has experience in. Some consultants focus solely on retirement plans, while some don’t work with them at all. You’ll want to know if a product isn’t mentioned because it’s inappropriate for your business or because his or her company doesn’t offer it. Another consideration : are most of a firm’s systems designed primarily for large firms ? If so, a small business owner’s needs often may not be met, so it may be wise to look elsewhere. Find out whether you’d have a dedicated account manager. With larger organizations, you may want a contact who is familiar with your company to avoid having to work with multiple representatives, retelling your story repeatedly. A professional operating on his own may not offer the level of service of a larger firm with someone focused on your account. It’s a good idea to ask how renewals are handled. You’ll want to avoid being surprised by a renewal notice at the last minute. Ideally, the insurance renewal process would start 90 to 120 days before the renewal date with a strategic planning meeting to set goals for the year. Once you decide on a plan, review it annually with your agent or broker to make sure it remains relevant to your company’s needs. Should you hire a broker or a captive agent ? Here’s a rundown of the two types of insurance sellers. Brokers are independent, selling for multiple companies, and typically can provide more options and a broader view of the marketplace. 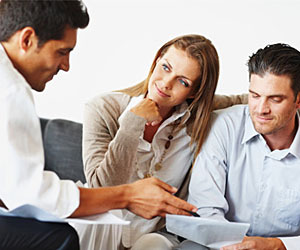 Brokers will work with you to evaluate the major insurance carriers in your area on plan designs and cost. Don’t look for just the lowest premiums. Consider the breadth of the network to make sure all the employees have access to in network physicians, and whether the carriers have good relationships with physicians. Keep in mind that brokers often are paid on commission by the insurance company, which could be reflected in the premiums. But some commercial insurance brokers instead take a flat fee from an employer, such as a payment based on the number of employees and months covered. Captive agents typically sell only one product or company. They often have a close relationship with their home office, which generally gives them more leverage to make plan changes. Their offerings also can cost less and they have access to markets that others may not have, such as workers’ compensation insurance in certain industries. Agents are typically paid by the insurers, so the business isn’t charged for their services. If you decide to work with an agent, talk to more than one to find out what different carriers offer. One idea popular with agents is an employee elect arrangement, which allows small companies to choose from the gamut of a carrier’s plans. In the past, small employers could offer only one or two plans to their workers. They sometimes felt obligated to pick the most comprehensive, and expensive, plan so that employees with greater health needs had enough coverage. But as insurers try to build market share by bestowing big business options on small companies, there is more to choose from. Employees who need less coverage can opt for cheaper programs, thus reducing premiums.